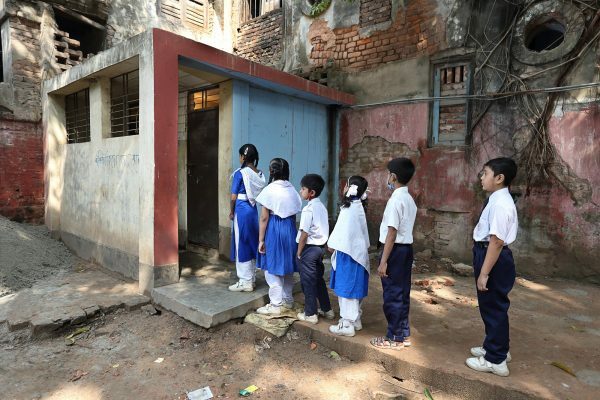 Ahead of World Toilet Day, our CEO looks into the impact of poor wastewater treatment and highlights ways in which cities can improve sanitation management. When people in the most developed cities flush the toilet, they have the luxury of not having to wonder where the wastewater goes to next. 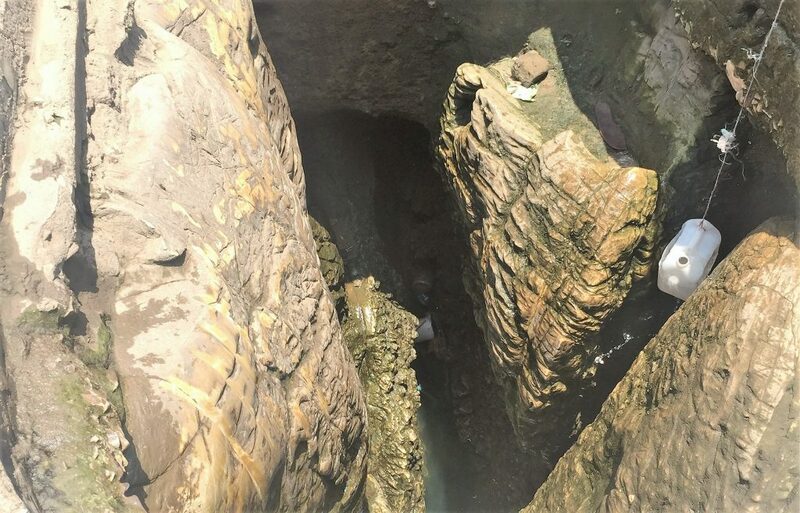 They know, if they stop to think for a second, that it gets flushed into a sewer, probably running under the main road, joining larger and larger sewers until it ends up in a treatment plant. At this point, water gets treated and ends back – somehow – in the water system. Maybe, years later, that water will come back to the same house, perhaps to be used in a sink, or shower. But we don’t need to worry about all this. It just happens, and our sanitation systems works – by and large – in harmony with the wider ecosystem. It is not so simple, though, in many other countries. 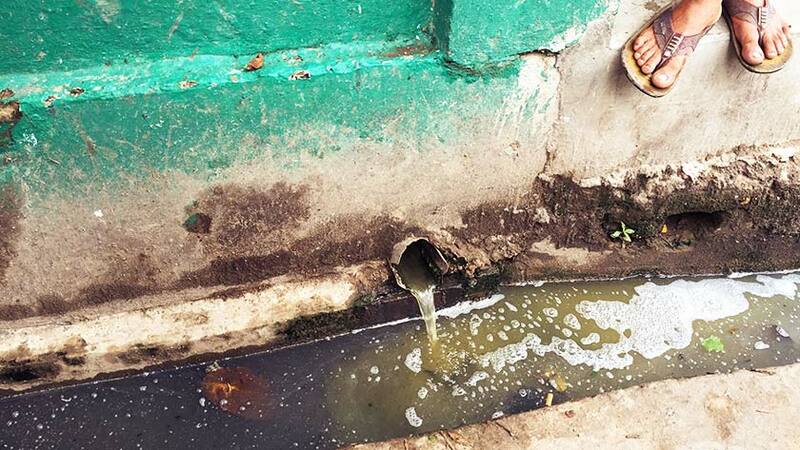 The lack of a sewer system outside of central urban areas means that vast quantities of wastewater is simply not treated. 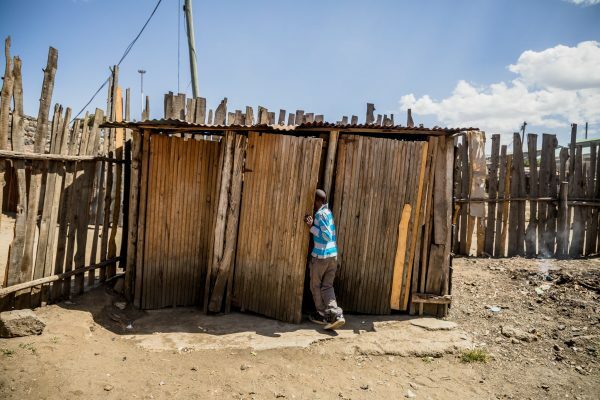 And this, in turn, results in sanitation waste being abundant in urban communities – with a devastating impact on health, dignity, education and economic development. The United Nations says, in its communications for next week’s World Toilet Day, that “we are turning our environment into an open sewer”. 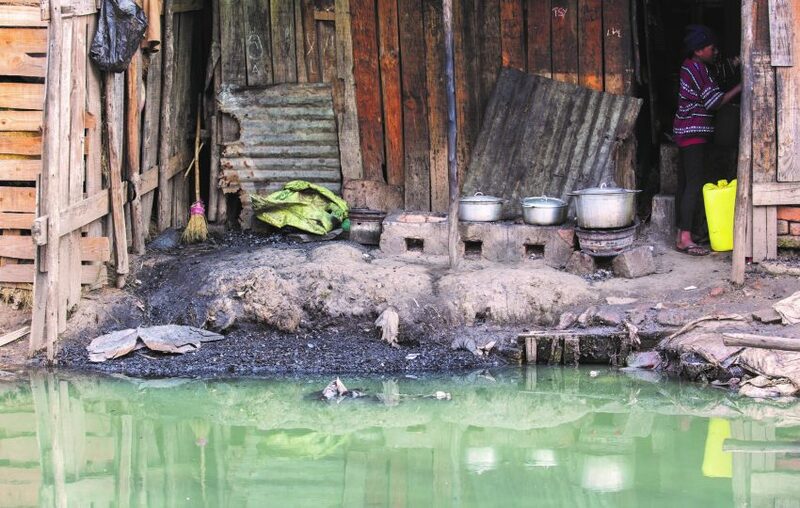 In some cities the challenge is that many residents’ septic tanks are connected directly to open drains – so that all their waste flows directly into the environment, often without residents even knowing. In other cities, residents pay for their waste to be collected by a vacuum tank operator which then simply dumps the waste into a river a few miles away. The problem is shifted from the house, but very much remains in the environment. 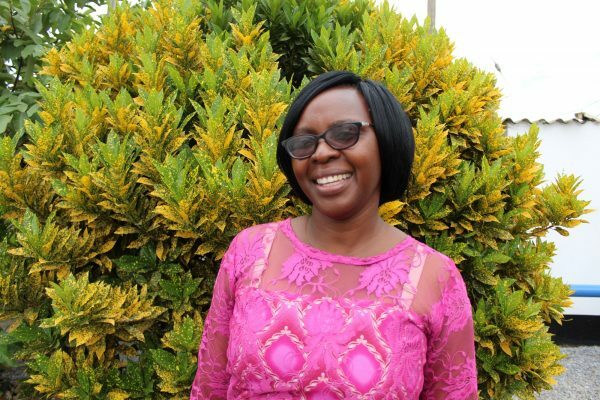 In Lusaka, groundwater is vulnerable to contamination due to thousands of openings in the rock layer. 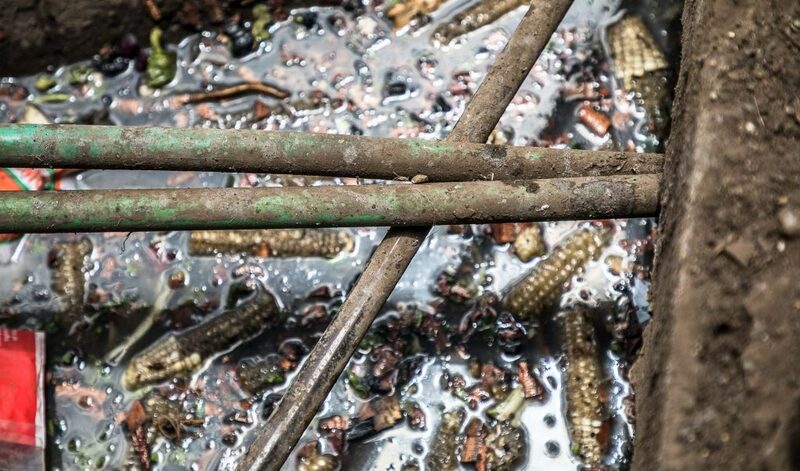 Poorly-built facilities leach their contents into surrounding soil, and informal pit emptiers dump sanitation waste into open drains and water bodies: both heavy factors behind recent outbreaks of cholera, which killed 88 people in 2017 and 2018. Sadly, many of these issues are hidden below ground, out of sight and out of mind. SDG 6.3 is vitally important, because poor sanitation waste management in urban areas has a catastrophic impact on health of urban dwellers. It affects the whole city – even richer residents are not immune, for example when they eat vegetables irrigated by water mixed with sewage. But, for the poorer residents, the risks are far higher. They will live in communities where harmful bacteria is rife. They might have to wash their clothes in dirty, polluted water. They will almost certainly be reliant on water from damaged pipes, increasing the risk of contamination as they drink (especially where depressurisation from water rationing has weakened the system). Risk management: Better understand, and act to mitigate, risks to environmental damage across the entire water cycle: from the catchment area right through to water bodies in urban areas, and wastewater management. Monitoring: Improve monitoring of water quality across the ecosystem – in boreholes, rivers, coastal areas and discharge points, using technology to better predict and solve hidden risks before they cause irreparable damage to the ecosystem. Treatment: Improve the treatment of human waste before it goes back into the environment, particularly from un-sewered toilets but also from treatment plants. Services: Support the development of services which can collect and transport sanitation waste for safe treatment, and raise awareness of the issue among residents, to stimulate customer demand. 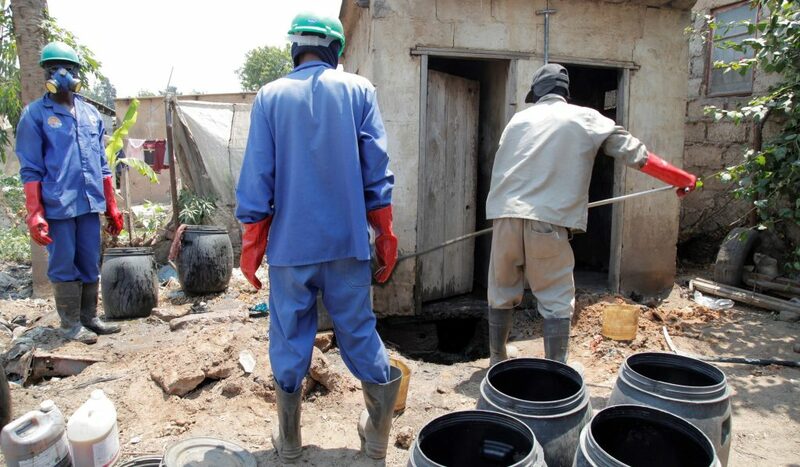 Operators in Lusaka, Zambia, collecting waste from a pit latrine to ensure it can be safely treated. We need to build systems which work in harmony with the natural environment, not against them. Leading urban authorities are recognising this, and we have seen progress in cities such as Lusaka, Freetown, and Visakhapatnam. They understand that tackling this issue head-on can pay dividends – not just for the well-being of poorer residents, but for the health of the whole city and all its inhabitants. 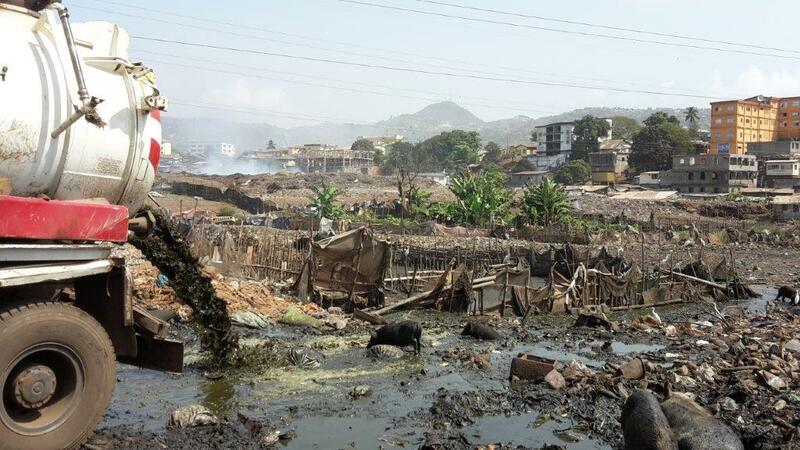 We need more cities to join them in prioritising improved wastewater management.